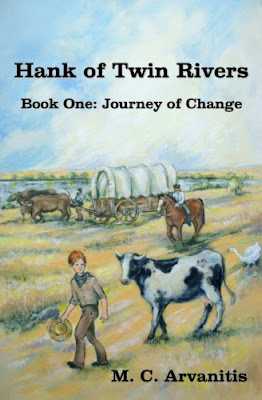 The third book of the 'Hank of twin Rivers's series' now published. 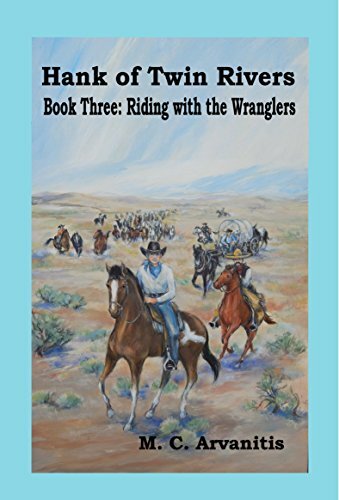 Author M. C. Arvanitis is delighted to announce her third book of the series 'Hank of Twin Rivers: Riding With the Wranglers' is now available at Smashwords.com and Amazon.com. Historically correct, this third novel of the series takes readers into the exciting life of horse wranglers and battles of the Civil War. The shame of being shorter than other boys his age, and his feeling that his Pa is disappointed in him, twelve-year-old Hank Heaton hides in daydreams and book reading. What else can he do? He can't make himself grow taller and, now that the cholera has weakened his leg and he finds himself limping, he feels even more inadequate. The disease took his mother so he doesn't have her to comfort him, to be "coddled" as Pa calls it. Hank’s only comforts are his pet cow, Clementine, and Ma's fun-loving, fiddle-playing brother, Uncle Mac. When Pa decides to homestead on land in western Nebraska, Hank rebels at leaving his school and friends. Pa’s discipline is quick and painful and Hank has to obey. Unpredictable mid-western weather, stampeding buffalo, and murdering claim jumpers make life miserable on the prairie trail. Hank finds friends in Rusty, a rich southern boy from Missouri; Nora, a teasing eight-year-old girl from Wisconsin; and Moses, an escaped slave. But life really get interesting when he meets another complication to his life, the feisty, red-haired preacher's daughter. Historically correct, this novel takes readers into the exciting and dangerous adventures of a pioneer boy. Hank, now sixteen, settles with his Pa and Uncle Mac in the Platte Valley where the North and South Platte merge. His father sets up a trading post where immigrants traveling the Mormon or Oregon Trails stop for supplies. In the past Pa and Hank does not get along, although they had settled their main differences two years ago, but conflict arises between them again when Pa remarries. 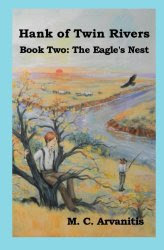 Hank's Uncle Mac is always there to ease the tension.When life gets too tedious, Hank finds comfort in his "Eagle’s Nest, " a tall cottonwood tree that grows in the valley overlooking the merging North and South Platte Rivers. Here he watches the growth of the town. New people settle near Twin Rivers including Preacher Twiddle and his large family. Hank likes the daughter, Becca. Although Becca’s father forbids them to be together, they become good friends and only she knows about his eagle’s nest. The winter is hard and long. Food is scarce. When Hank goes hunting rabbits in the valley, he gets lost in a sudden blizzard and tangles with a mysterious wild creature.Later, encouraged by his new wife, Pa enrolls Hank in an Eastern school where he can prepare to be a doctor. Hank refuses to go. He runs away with horse wranglers who hunt for wild horses in Western Nebraska. When he comes home with his new horse, Lady, he finds that Becca’s father has taken her and her family back to Missouri. 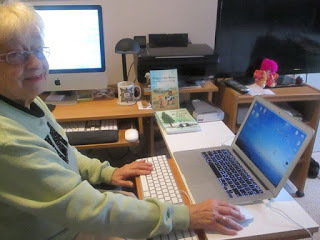 M. C. Arvanitis is a full time writer who creates books for children, mid-grade readers, and YA historical novels. Her time as a preK and early grades teacher gives her insight into the stories children like to read. She writes mid grade readers books she calls "fables." 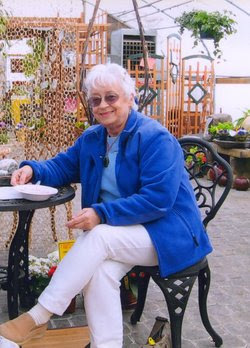 where she brings mythical creatures such as fairies, elves, mermaids, pixies, and other strange beings to her stories. 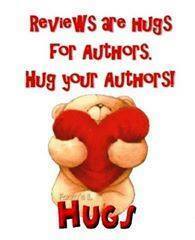 Ms. Arvanitis would be so thankful if you would go to the link where you bought her book and leave a HUG (REVIEW) so other parents choose her books because of your reviews.